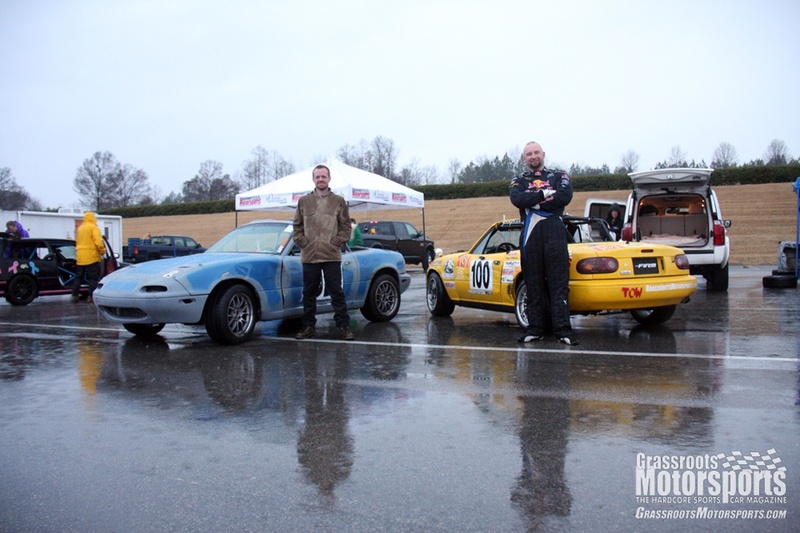 We had a fair bit of car-to-car contact at our last LeMons race at Barber—some of it our fault, some of it not. One primary casualty on our Miata, aside from some dented bodywork, was the side mirrors. We needed something so we could see around us. The single Wink mirror just wasn't going to cut it. Thankfully, Discovery Parts had a trailer at the event, and they were selling race gear. Our guest driver, Johnny Cichowski of OG Racing, walked over and bought a couple Longacre convex mirrors designed to mount to a roll cage. 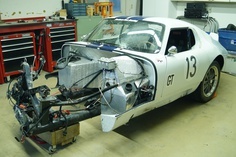 We tried to make them work as intended—that is, mounted to the cage—but we couldn't find spots to attach these mirrors that were still within the driver's line of sight. We decided to try something a little different, a little JDM. We would mount them to the fenders. We drilled a couple holes in the fenders and slipped the threaded part of the clamp on the back side. It looked and worked great while we were sitting in the paddock, but it was clearly also a bit too flexible when mounted this way. We added a strap to keep it steady, bolting it down using one of the fender bolts. Easy, and convenient. These worked phenomenally well on track. We could see everything on either side of the car, making the Wink mirror almost unnecessary. Having the mirrors far out on the fenders also makes them easy to consult at a quick glance, rather than having to look through a window net or to the far window on the car. This is a change we'd recommend to anyone who's racing wheel to wheel, especially in any car that's hard to see out of. We were astounded at how well it worked.